Can Zoning Help Solve the Affordable Housing Crisis? You are here: Home Latest News Can Zoning Help Solve the Affordable Housing Crisis? Something pretty unusual just happened in Minneapolis. In spite of vocal and organized opposition from NIMBY neighborhood groups and individuals, the City Council passed the Minneapolis 2040 Comprehensive Plan at its December 7th meeting. What, you might ask, is the Minneapolis 2040 Comprehensive Plan, and why are we talking about it in the Rogers Park Builders Group Newsletter? The 2040 Plan does something no other large, American city has done in recent memory. In one fell swoop, it gets rid of single-family zoning everywhere it currently exists – about three-quarters of all residentially zoned land within city limits. The new, 2040 Plan will allow the construction of up to three units on lots that were previously reserved exclusively for single family development. In so doing, Minneapolis hopes to increase neighborhood density and foster more housing production across a wider geographic area than previously possible. The city also hopes that this will lead to an increase in the supply of housing at a wider range of price-points since it is cheaper per unit to build three units on a single lot than to build just one. If all goes as planned, the 2040 Plan will make more housing more affordable to a wider range of potential buyers. The 2040 Plan does something no other large, American city has done in recent memory. And therein lies the real reason the Minneapolis plan is so radical. While other American cities (Chicago included) have almost uniformly down-zoned neighborhoods in recent years – pushing denser development and lower-cost housing away – Minneapolis is boldly going the opposite direction in the hope that it can make a dent in the growing problem of housing affordability. 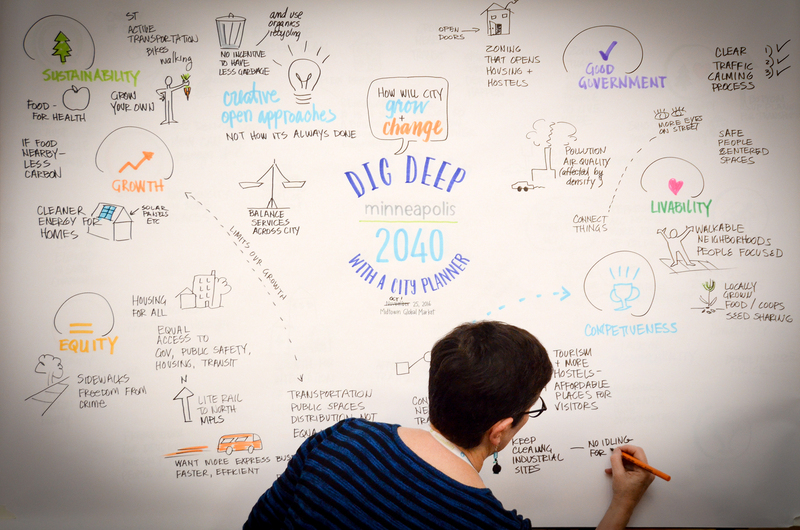 Getting the Minneapolis 2040 Comprehensive Plan passed was no easy feat. It faced huge opposition from established neighborhoods and long-time residents who like their single-family neighborhoods just fine and do not want to see them change. This resistance has been seen again and again across the country, from San Francisco to Boston and everywhere in between. It represents a fundamental tension between those who want to see more housing units created in a wider range of locations for a more racially and economically diverse set of buyers and renters and those who like their neighborhoods the way they are. In most of the locations where these battles have been waged, the NIMBY contingent always seems to win. It is this fact, more than any other, that makes the outcome in Minneapolis so exceptional and so exciting. Minneapolis may be the first, large American city to successfully up-zone the entire city in an effort to create a more equitable housing market for all city residents. To state the obvious, housing affordability is not just a Minneapolis problem. Increasingly, it is a national problem. This is particularly true in the nation’s largest and most dynamic cities. If all goes as planned, the 2040 Plan will make more housing more affordable to a wider range of potential buyers. Anyone who knows both Chicago and Minneapolis may assume that the two cities have little in common. Minneapolis is a fraction of the size of Chicago, and it was always lower density and more “suburban” in character than Chicago. Chicagoans can be forgiven for smugly assuming that housing density is not an issue in our town. After all, Chicago is the birthplace of the skyscraper and is still known for the ring of high-rise apartment buildings that surround the downtown area and that line the Lakefront. Even the more residential neighborhoods of the Northwest and Southwest Sides have plenty of two-flats, three-flats and small apartment buildings mixed in. So, it may come as a surprise to discover that modern zoning codes have made it virtually impossible to replicate these denser housing types in most neighborhoods in Chicago. In most of contemporary Chicago – as in most of Minneapolis prior to the implementation of the 2040 Plan – residential development is effectively limited to single-family development in all but a few areas, regardless of what the original development patterns were. This is especially true in the most desirable neighborhoods where demand for new housing is greatest. A 2014 article in Crain’s Chicago Business by Daniel Hertz (“Chicago’s Zoning Laws Are Just Insane,” February 24, 2014) shows that the vast majority of residentially-zoned land in Chicago cannot be developed with anything larger than a single family home. In fact, outside of the downtown and Lakefront areas, the only part of the city where denser development is the rule and not the exception is the West Side. And being allowed to build denser housing is not the same as actually building it – the West Side is one of the weakest housing markets in the city and the area’s decades-long disinvestment and decline virtually assures that little new housing will be built there. 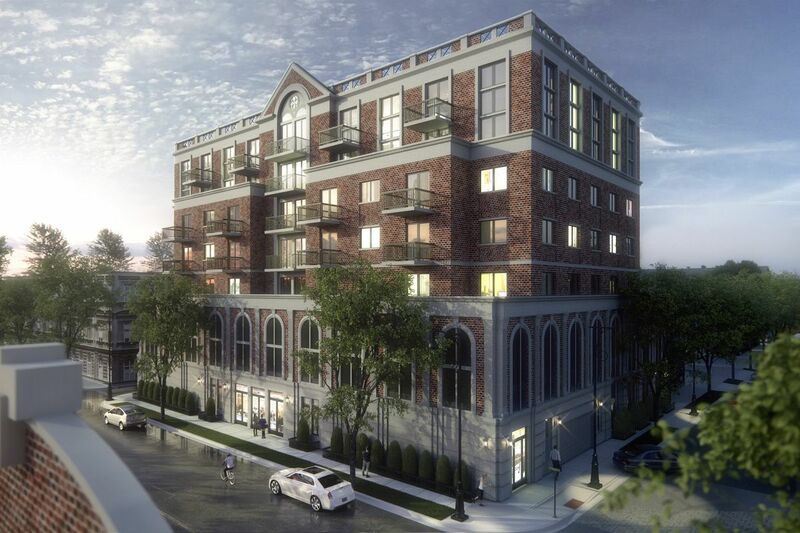 By contrast, in high-demand neighborhoods like Lincoln Park and North Center, the construction of anything larger than a house is virtually prohibited in all but a few locations. Chicago, Minneapolis and most (maybe all) American cities have had fraught histories of racial and income segregation. It is no mystery why this down-zoning occurred. Chicago, Minneapolis and most (maybe all) American cities have had fraught histories of racial and income segregation. For decades, better-off residents of revitalizing neighborhoods have used zoning as a tool to push people of lower socio-economic status out, and restrict others from being able to move in. Daniel Hertz’ recent book, The Battle of Lincoln Park, provides an excellent case-study in just these kinds of dynamics. What better way to push out “undesirables” than by limiting new construction to single family homes? In so doing, neighborhood residents reduce density and insure that only the wealthiest households are able to move in. It is partly as a response to these long-standing patterns that Minneapolis implemented its 2040 Plan. It now appears that Chicago may be prepared to take baby-steps in the same direction. There are a number of ways in which Chicago is beginning to move away from the most restrictive zoning and allow a wider range of housing types to be created across the city. These effort could (and will) be the subject of future Newsletter articles. For now, here is a brief summary of what Chicago is doing. While the wholesale up-zoning of neighborhoods along the Minneapolis model is unlikely, Chicago is contemplating tweaks to the zoning code that would allow coach houses over garages and “in-law” units in basements. Mayor Emanuel’s 5-Year Housing Plan includes a substantial commitment to building and preserving more affordable housing with a goal of supporting 40,000 affordable units over the period 2019 to 2023. The city is working on a revision of the Class 9 tax program that would be more effective across the city in both weak and strong neighborhood areas (see “New Initiatives for Affordable Housing” in The Builder, Spring 2018 edition). Earlier this decade, the city incorporated transit-oriented development (TOD) into the zoning code, allowing greater densities and lower parking requirements in areas well-served by rapid transit or major bus lines. It remains to be seen if Minneapolis’ 2040 Plan is a one-off accomplishment, or if it will have a wider impact across the country. Minneapolis is exceptional in a number of ways. With a highly educated and relatively affluent population of 400,000 people, Minneapolis has long been a particularly progressive and enlightened place. Minneapolis is also in Minnesota, which is famous for its “Minnesota Nice” attitude and friendliness. Most American cities do not have this same combination of education, affluence and cohesion. For all these reasons and more, the Minneapolis experiment in up-zoning may well turn out to be an isolated event. There are a number of ways in which Chicago is beginning to move away from the most restrictive zoning and allow a wider range of housing types to be created across the city. But the forces of change are building. This Newsletter has highlighted the economic and demographic trends at work across the nation since the beginning of the 21st Century, and that have only accelerated since the end of the Great Recession. Increasingly, economic expansion seems to favor just a few “super-star cities” while suburban and rural areas tread water or decline. The Twin Cities are among the most successful urban regions. Minneapolis has flourished in this new economic order. Like other favored locations, the cost of housing in Minneapolis for both owners and renters has increased well above the rate of inflation, or growth in wages. These tensions have given rise to a much more active and vocal progressive movement. In turn, this movement has created momentum for policies that would support affordable housing and greater income equality. Regrettably, this movement has also coalesced around rent control, a policy that would likely drive down the production of housing and increase its cost. In Minneapolis, a clear result of this increased activism from progressives is the adoption of the Minneapolis 2040 Comprehensive Plan. In Chicago, there seems to be growing interest in learning from our neighbor to the north, and putting some of these same strategies to work.